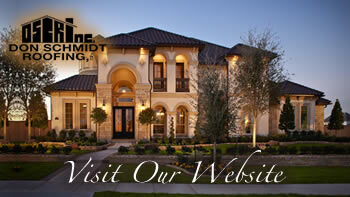 Home » Don Schmidt Roofing Blog » Better Trim those Trees Around your House. Now is the time to check the trees around your roof before the hot summer is upon us. It is especially wise to check now before the upcoming hurricane season. Trees that hang over your roof and near your home can be dangerous especially in a hurricane. When winds pick up, tree limbs can too. Trees are susceptible to disease and it doesn’t take a lot for a diseased limb to snap. If a tree limb falls on your roof it can cause severe damage to your roof and allow water to intrude your home, cause electrical issues, or even hurt someone inside the home where the limb hits. Trees can also cause debris to build up on the roof, especially now. Leaves, pine needles, sticks, and other debris can form a pile of mulch on your roof. When “mulch” gets wet, it stays wet. This can cause the shingles underneath to deteriorate, and worse, the roofing structure to rot. Trimming back your trees on your Florida roof will ensure that throughout the year you will keep your roof clean and help you prepare for hurricane season.